A striped beak fish travelled all the way from Japan, aboard a stranded boat, to travel around 8,000 Kms and landed on a beach in Oregon, US. So what is so special about it you would ask? 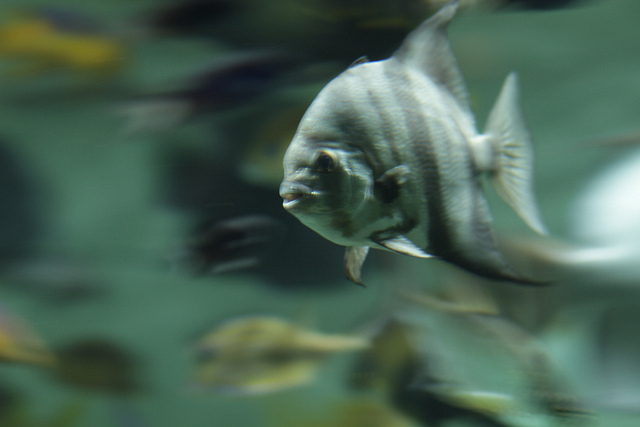 Don’t many fishes travel long distances to migrate from one place to the other? Yes, many fishes do but not this particular fish that we are talking about. A striped beak fish is usually found only in shallow Asian waters. This fish must have hitched a ride on a boat that got stranded in open waters in 2011 devastating tsunami that had struck Japan. From there, the fish travelled hidden in the boat for over 2 years only to be found when the boat recently parked itself on the US beach. The fish is believed to have survived on the organisms inside boat. The valiant fish has now made local aquarium its home.